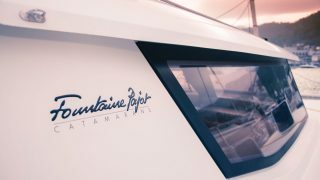 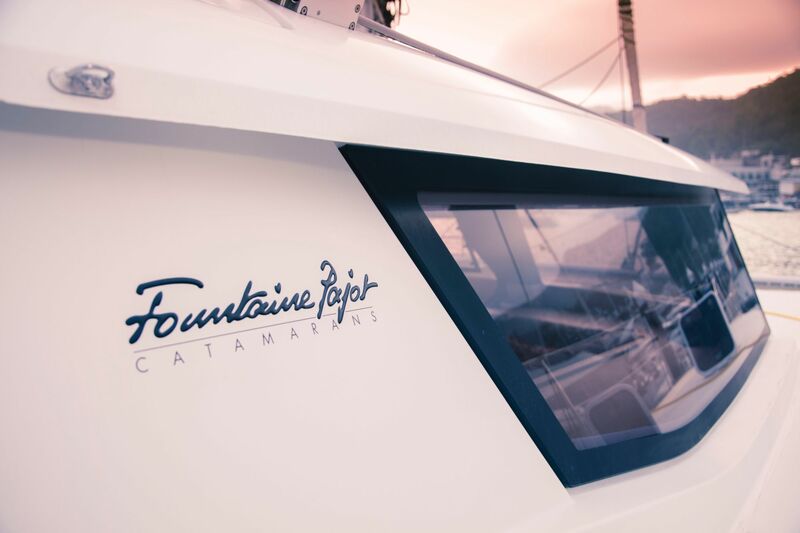 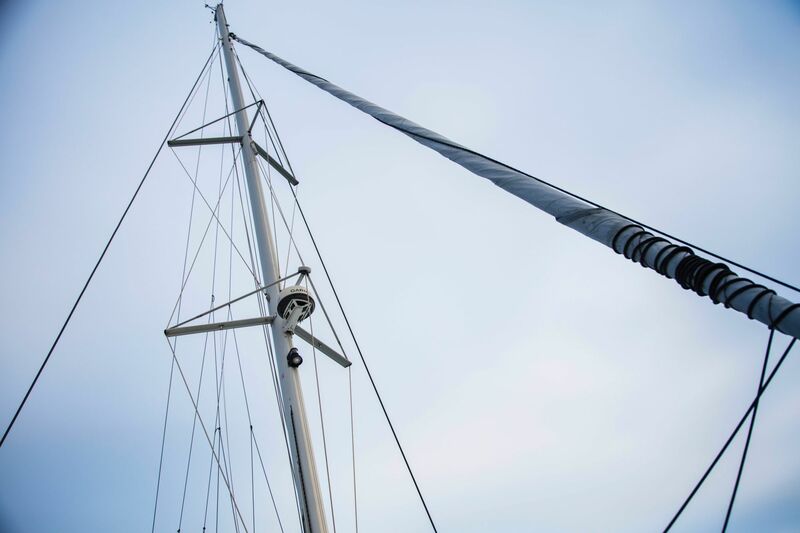 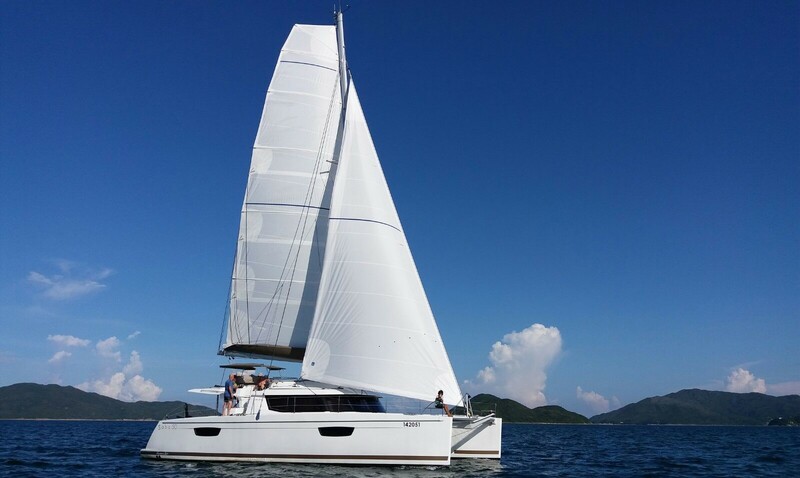 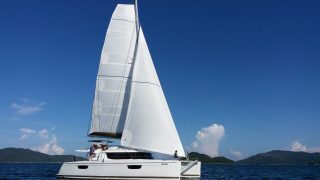 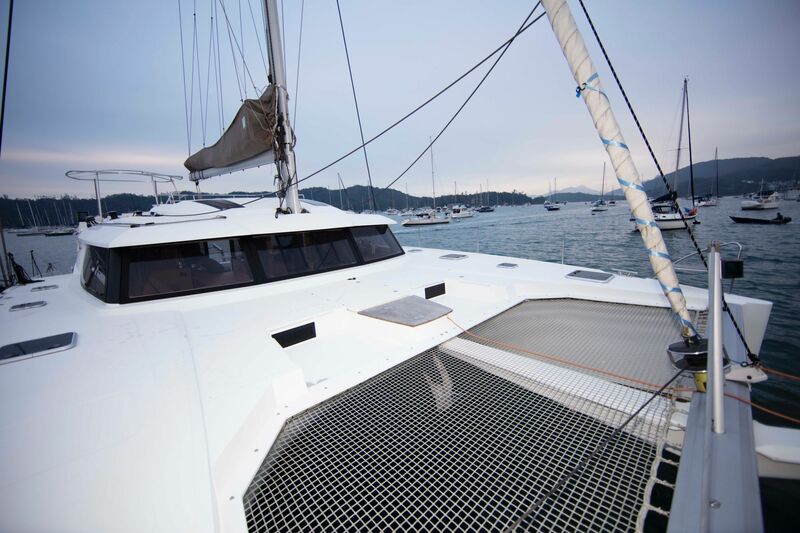 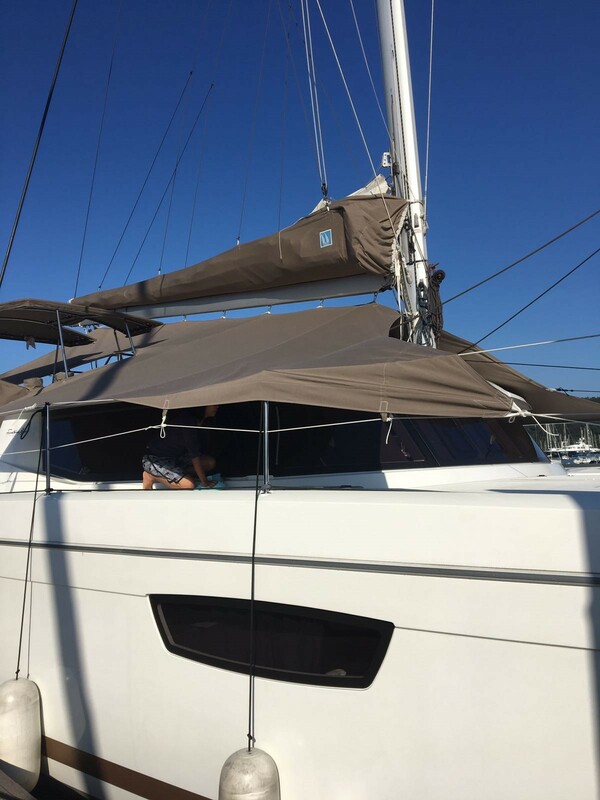 Offers invited for this immaculate 2016 Fountaine Pajot Saba 50 Maestro version sailing catamaran which elevates performance cruising to an entirely new level of style and affordability. 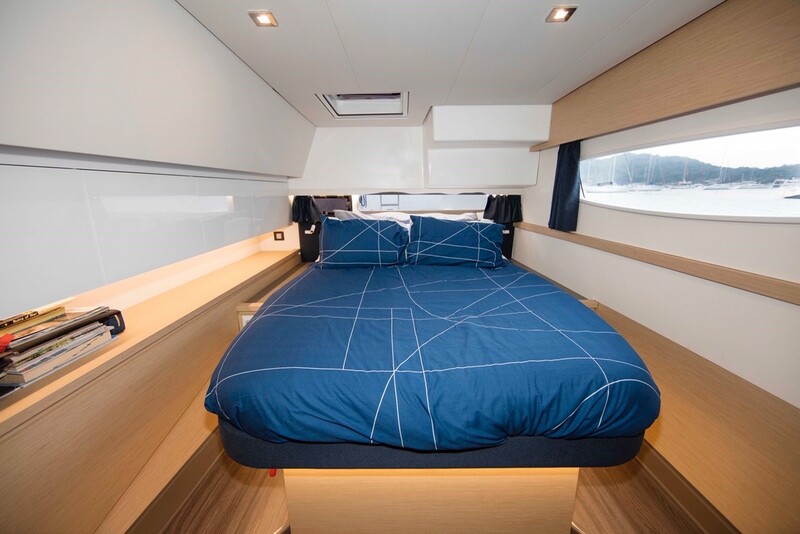 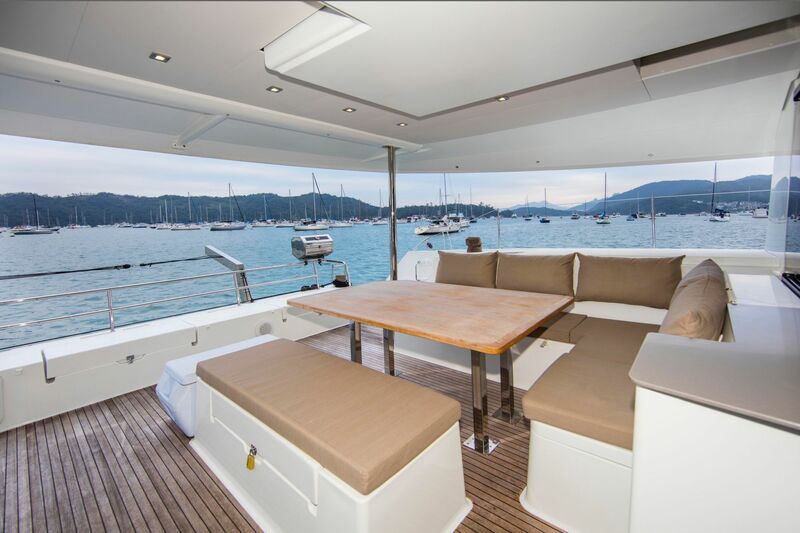 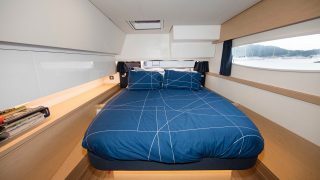 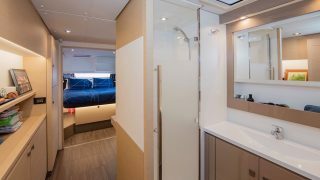 The Saba shares the elegant lines of the shipyard’s Hélia 44 Evolution catamaran and has upgraded features including additional panoramic portholes to enhance the natural light and ventilation. 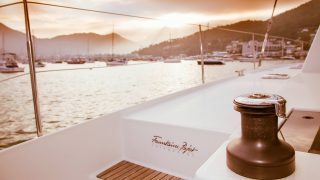 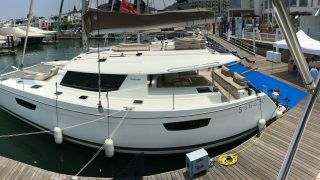 With an has enormous living area, making it ideal for extended cruising ventures while entertaining family and friends. 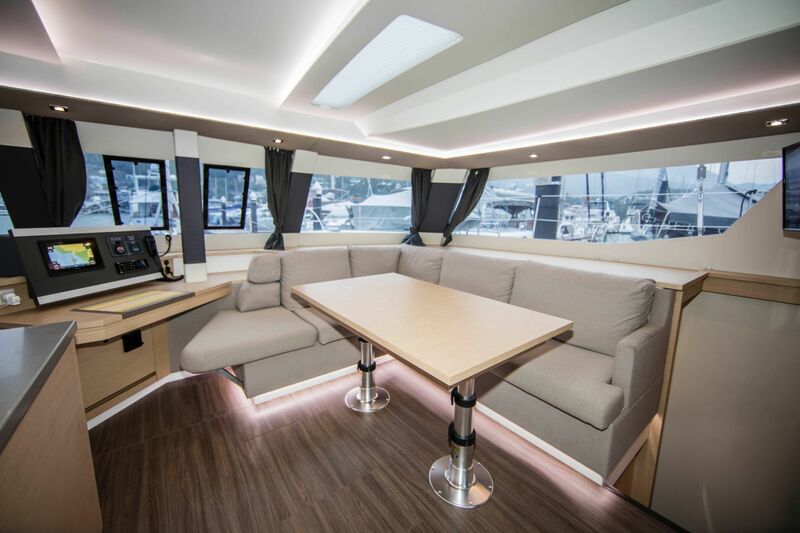 The spacious saloon is accessed via an extra-wide entry door that seamlessly integrates the indoor and outdoor spaces, featuring skylights plus a spectacular panoramic window that encases the saloon and provides exceptional views and natural light. 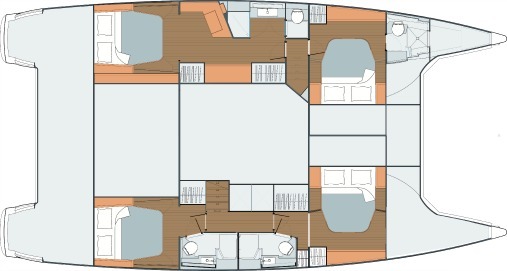 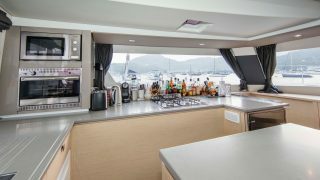 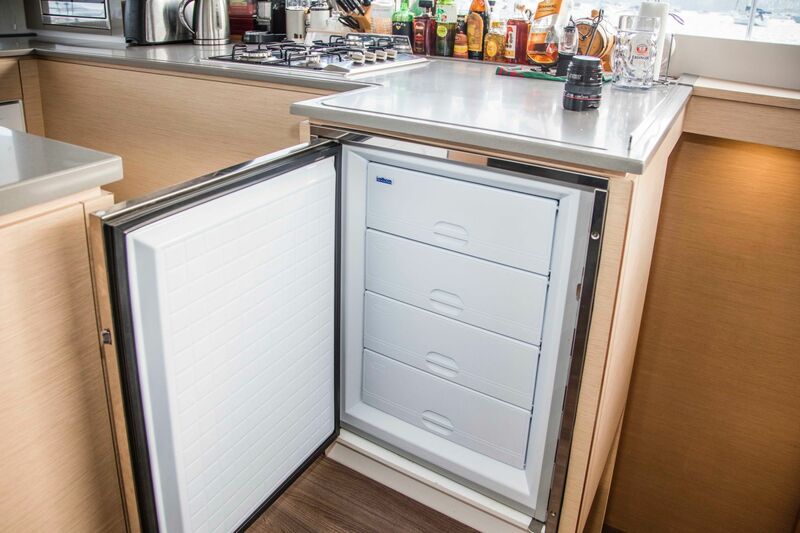 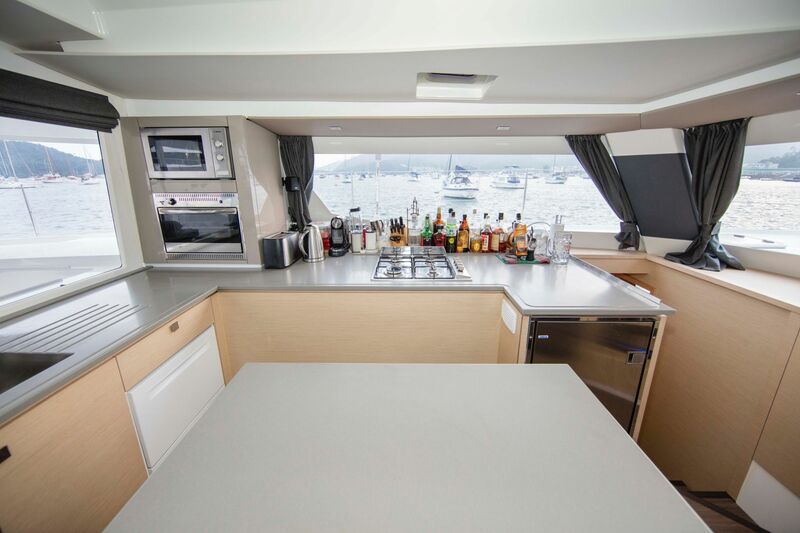 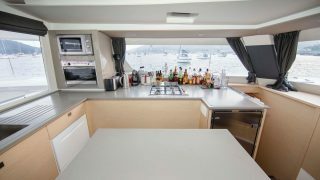 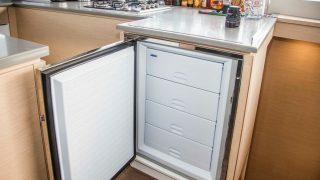 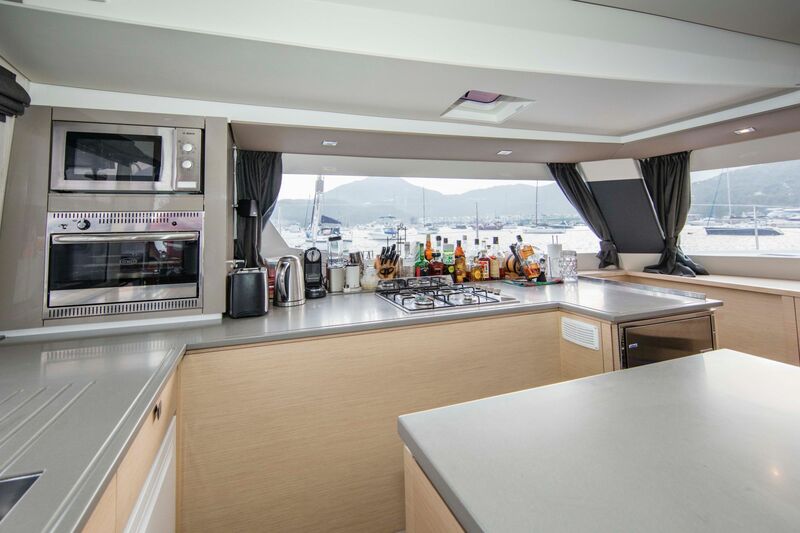 The L-shaped galley overlooks the saloon and cockpit, boasting an abundance of storage space, with freezer and fridge space for a large family adjacent to the convenient forward-facing chart table. 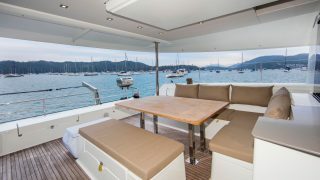 The Saba 50 has been designed with multiple relaxation areas including a luxurious 12.4m2 upper lounge deck that is equipped with a chaise lounge and two sunbathing decks. 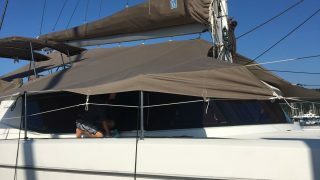 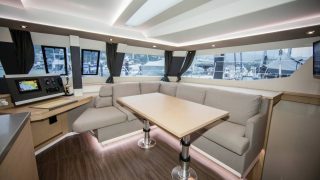 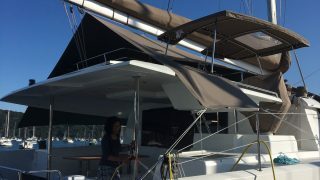 The generous cockpit features a large lounge, extra sofa, dining table for 12 guests, with a huge sunbathing lounge on the fore deck. 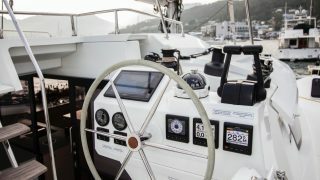 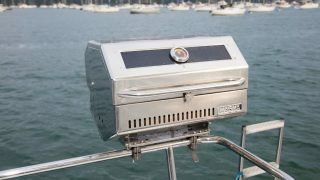 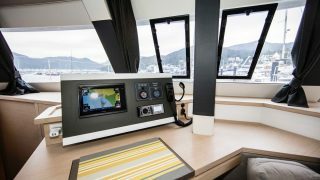 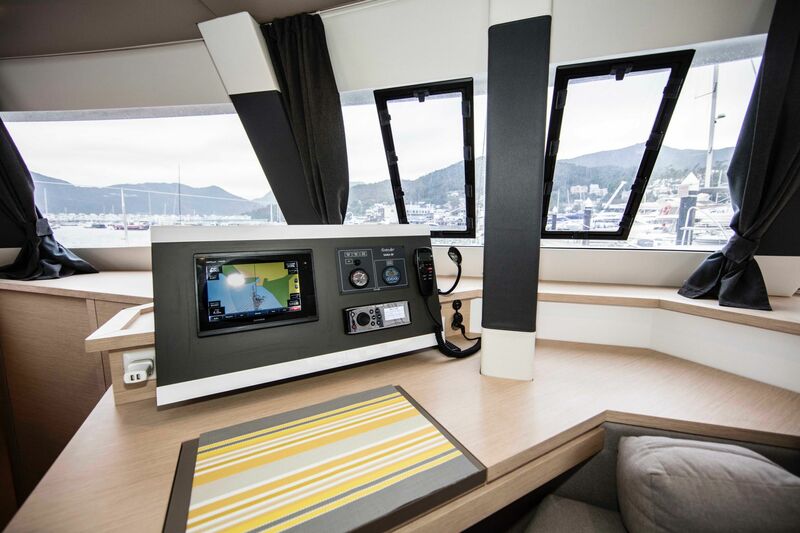 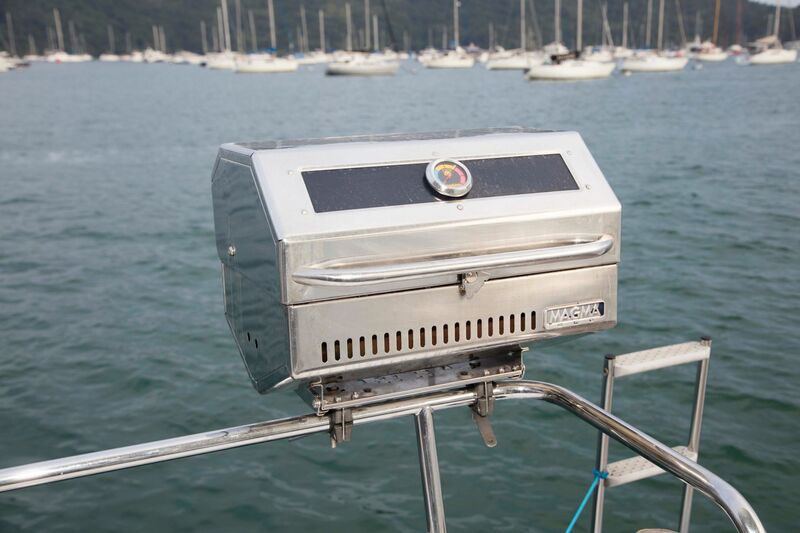 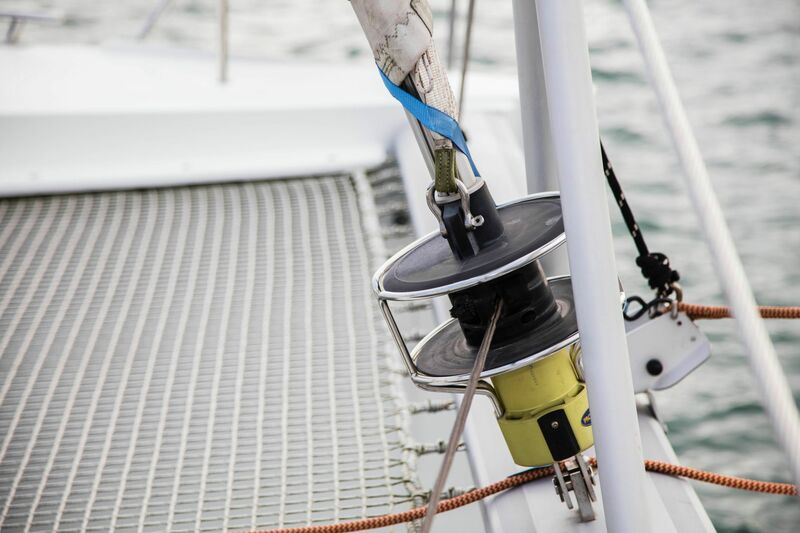 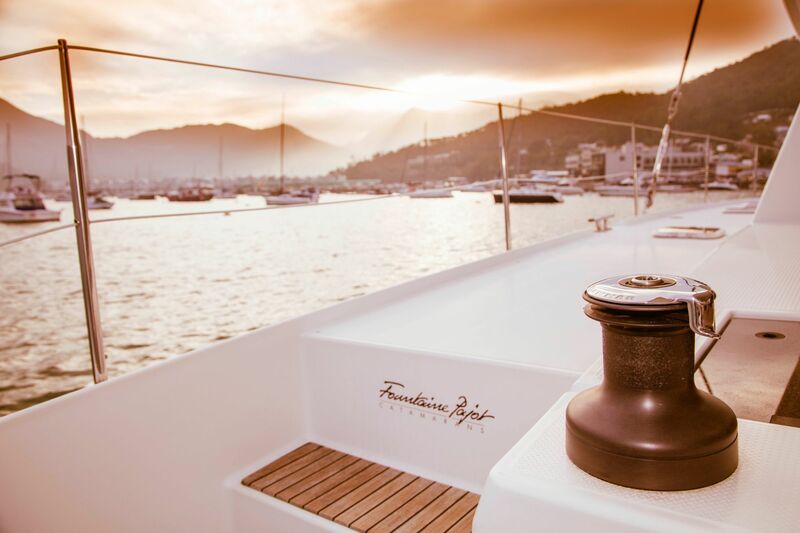 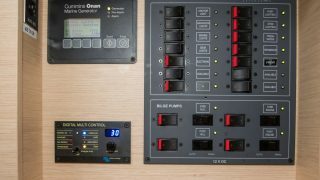 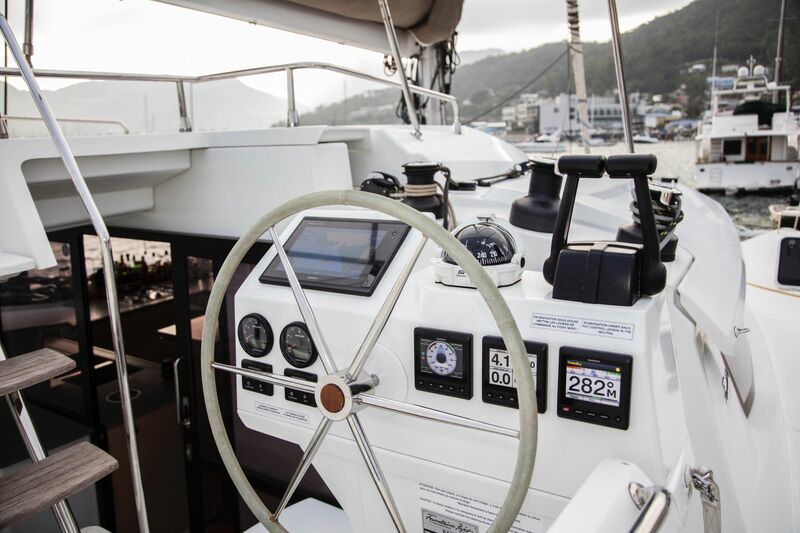 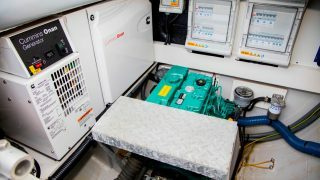 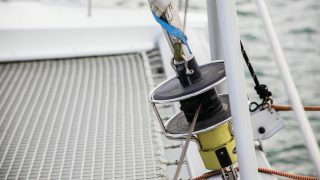 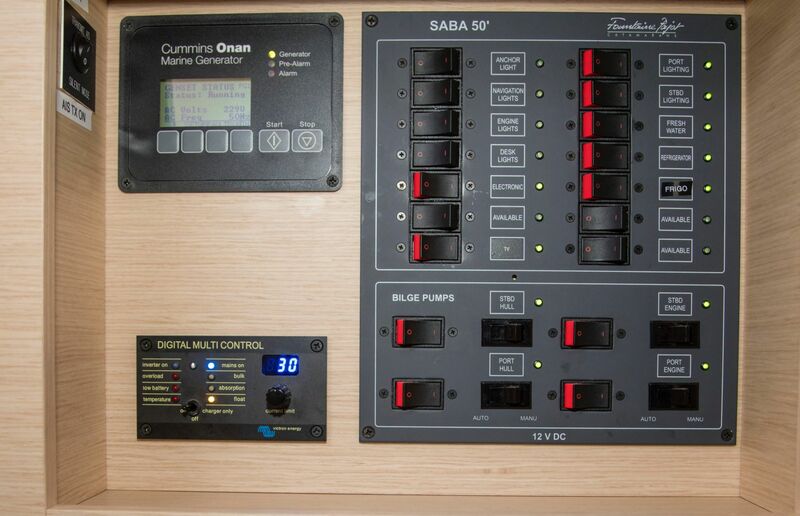 The helm station enjoys 360 degree visibility and excellent protection from the elements, with easy access to the cockpit and upper lounge deck. 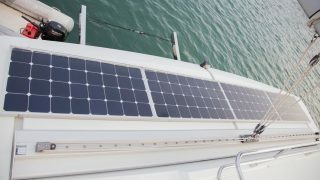 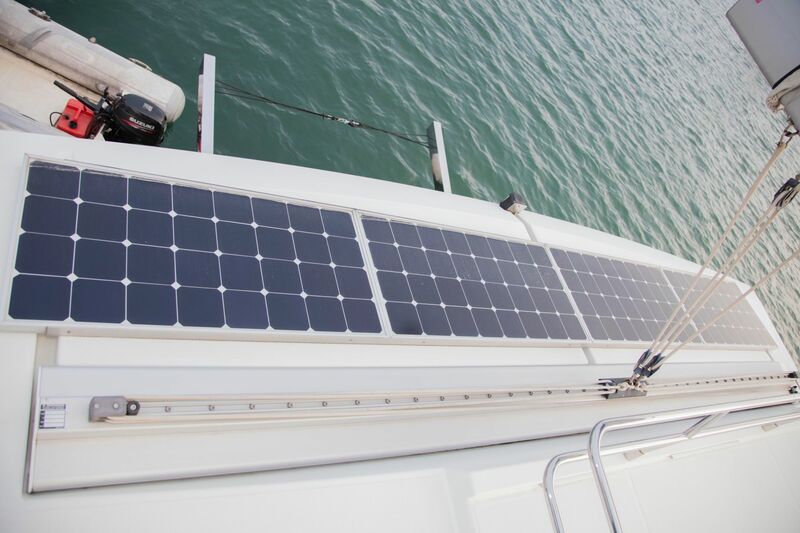 All lines are ergonomically controlled for ease of handling, and embedded solar panels are conveniently located on the upper aft deck. 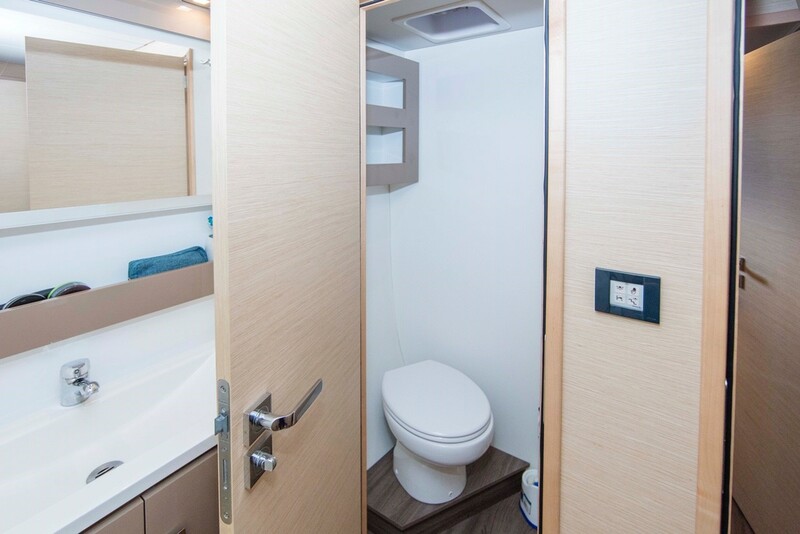 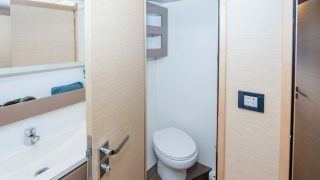 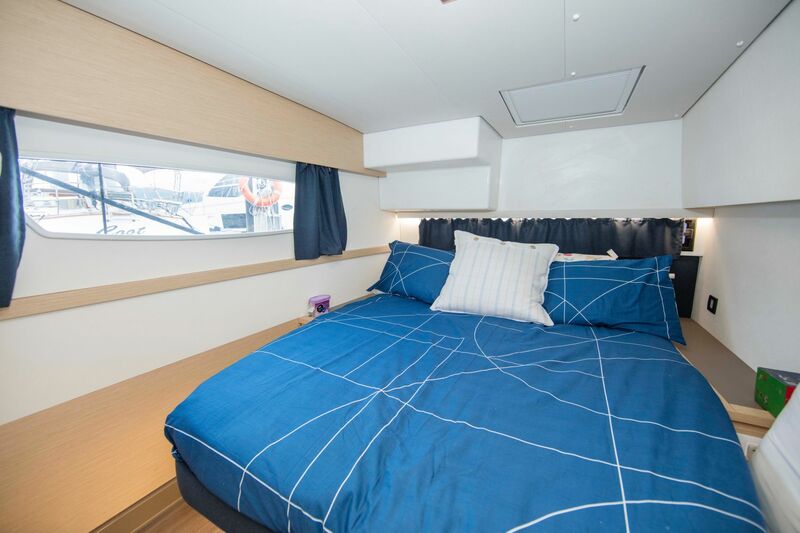 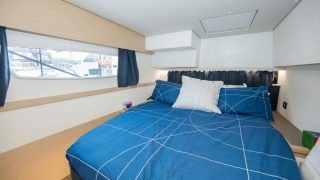 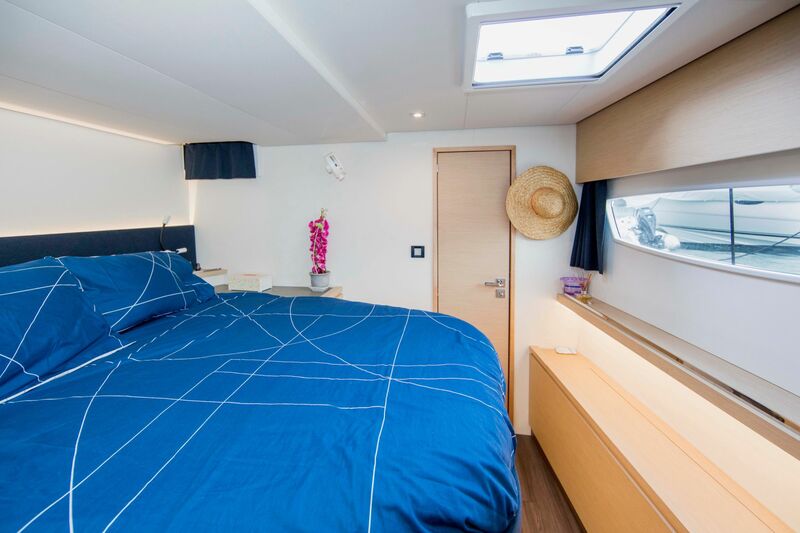 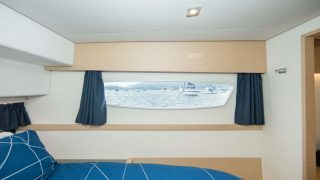 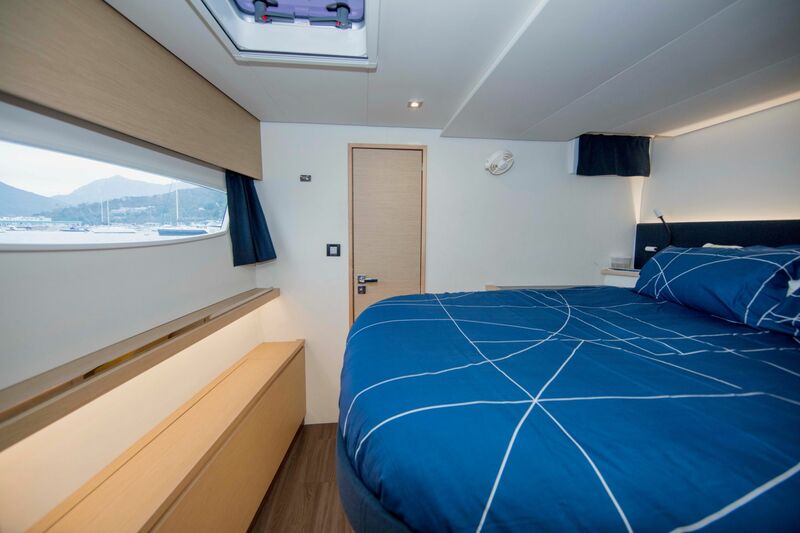 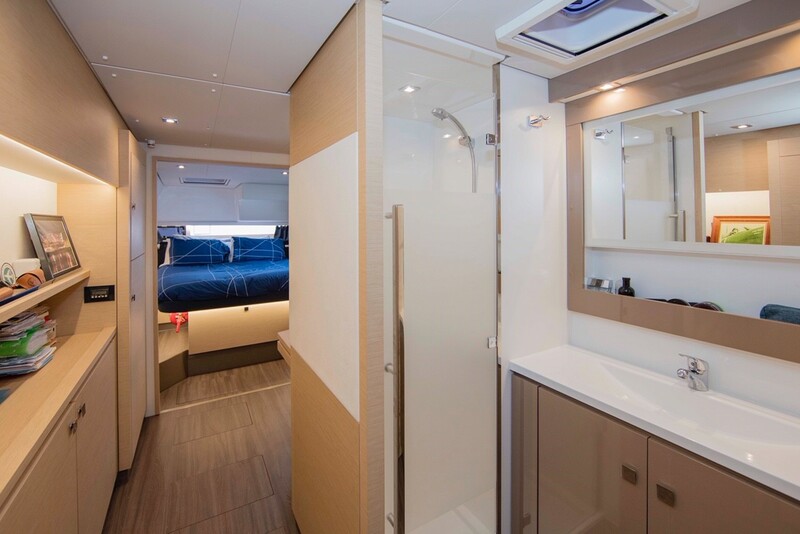 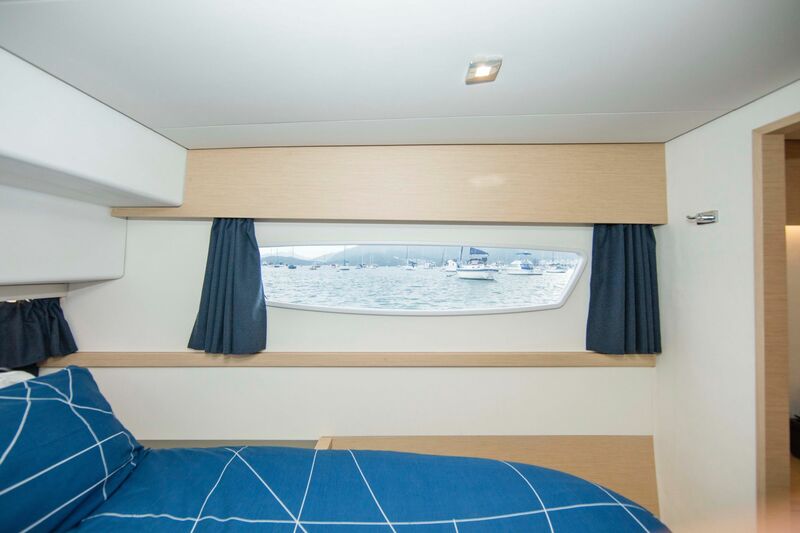 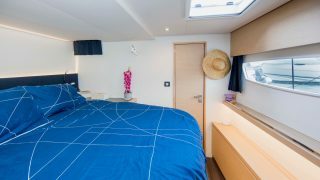 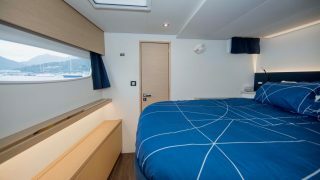 This Maestro version comprises the large master suite in the port hull plus three spacious guest cabins that each have their own private ensuites. 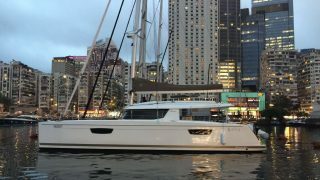 Currently for sale in Hong Kong delivery can be arranged worldwide. 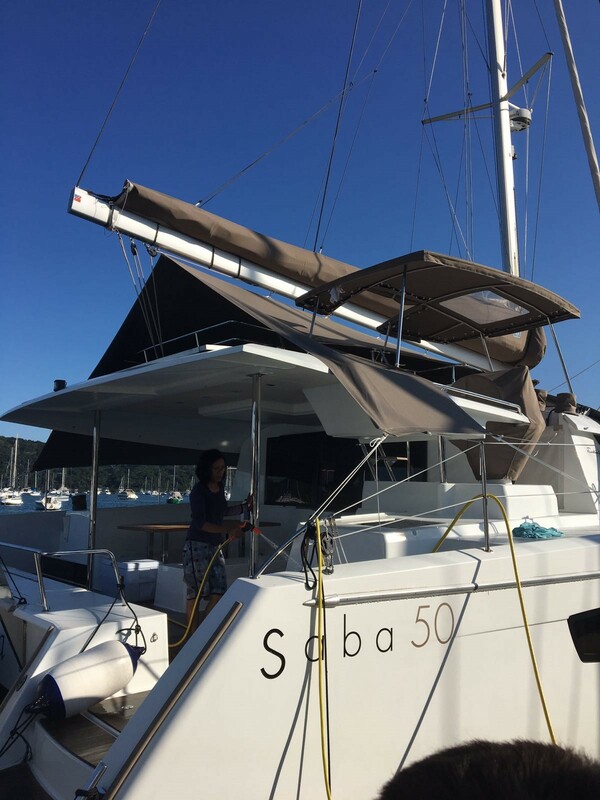 So cut your 2 year waiting list for a new Saba to the delivery period of a few weeks and buy this well kept Saba 50 Owners version now. 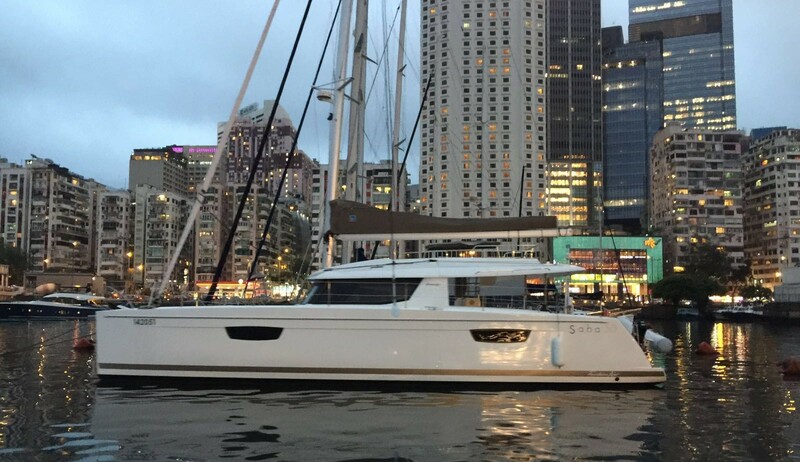 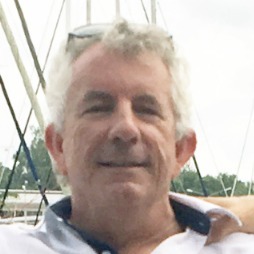 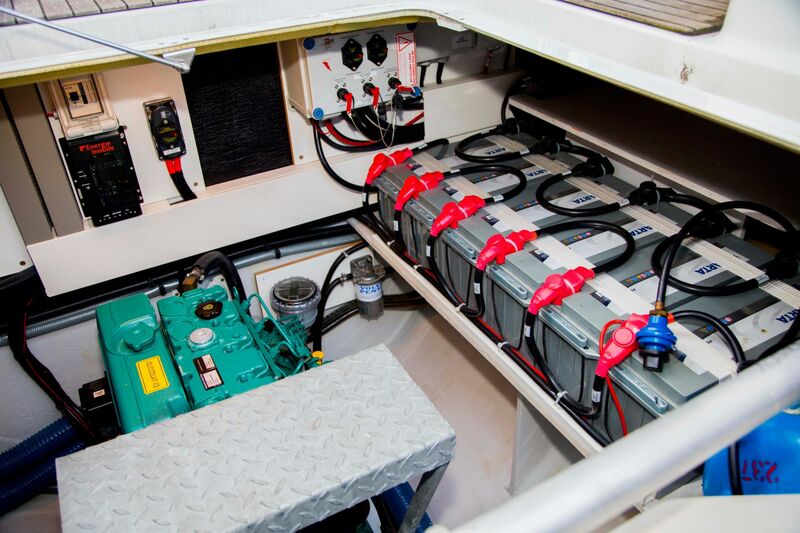 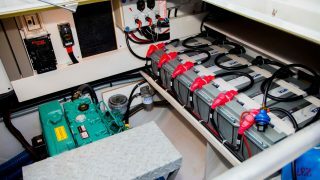 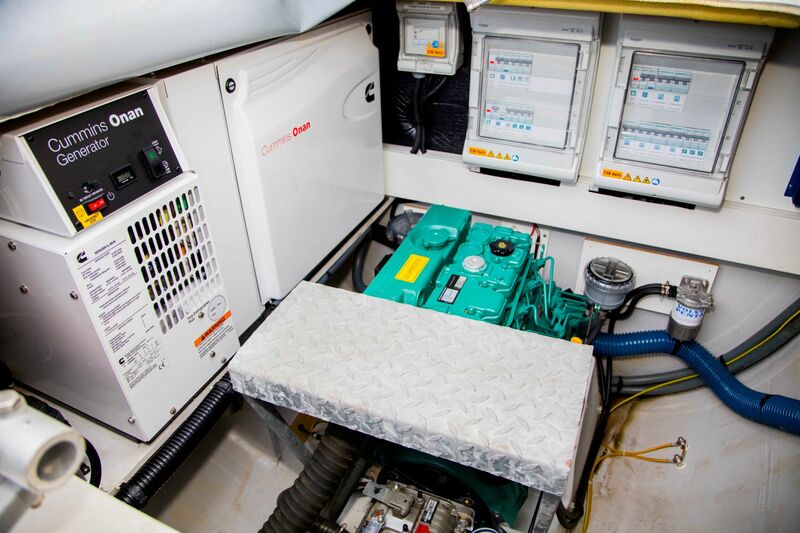 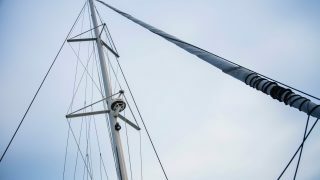 Please see below in the Multihull Solutions website for links to her comprehensive inventory. 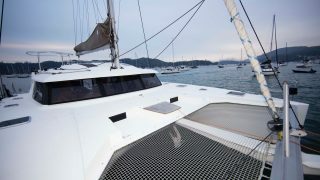 Serious offers close to listing price invited.